I’m trying to eat grain-free as much as possible these days, and while I haven’t completely cut out grains, I have reduced them by about 75%. I feel good about that: I’m eating more greens and more sources of lean protein. 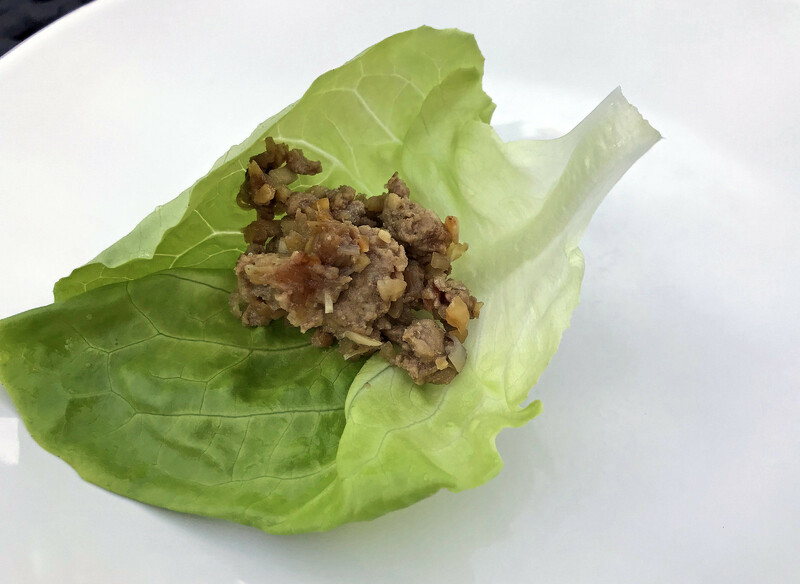 I’m always trying to come up with creative and delicious ways to put together a grain-free meal, and these turkey lettuce cups are one of my favorites. They’re not traditional, though: I’ve replaced pork with turkey and omitted some of the toppings (*cough* cilanto, my nemesis *cough*). These are kind of like larb, but without the toasted rice powder and herbs. (But don’t fret, there is always a time and place for larb.) The best part? You probably already have most of the ingredients in your pantry. 1. Place a sieve over a bowl and press the dissolved tamarind through the sieve; discard the pulp. Set the tamarind juice aside. 2. Heat a wok over high heat. Add the oil and when it is hot, add the shallots, garlic, and lemongrass. Stir-fry until golden, then add the turkey and stir-fry until it has all changed color and is almost cooked through, about 5 minutes. Add the sugar, the tamarind juice, the fish sauce, and salt and cook until the liquid has almost evaporated, about 5 minutes. Add the ginger and peanuts and stir-fry for another 2 minutes. Remove from the wok and let cool. 3. To serve, put a lettuce leaf in the palm of your hand, then scoop up a tablespoon of filling and place it on the leaf. Fold the leaf over to make a bundle, or leave it open, and place on a platter. Repeat with the remaining ingredients.